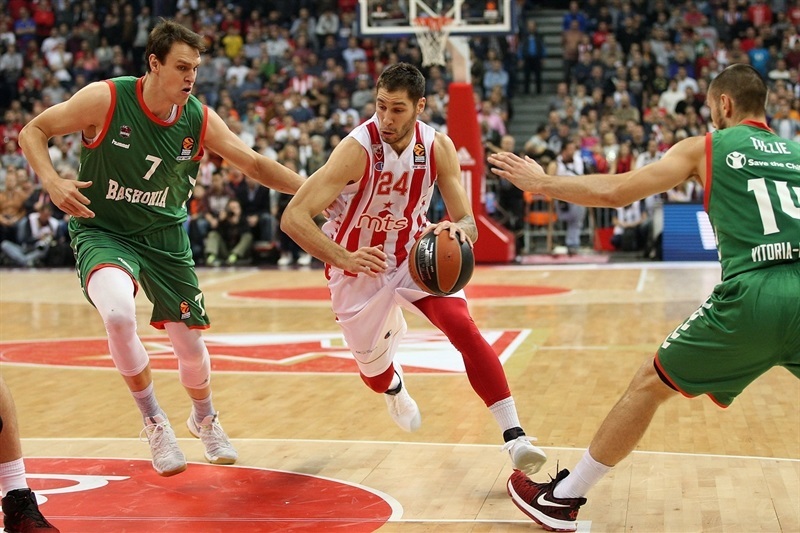 Baskonia Vitoria Gasteiz registered its second consecutive road win of the season, using its defense to hold off Crvena Zvezda mts Belgrade 63-70 in the Serbian capital on Friday night. 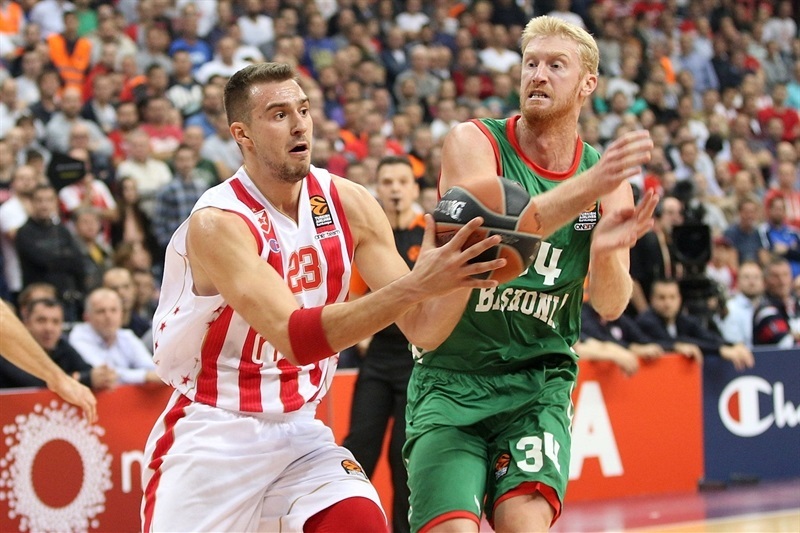 Baskonia held Zvezda to only 2 points in the final six minutes of the game to improve to 3-2, while Zvezda dropped to 2-3. 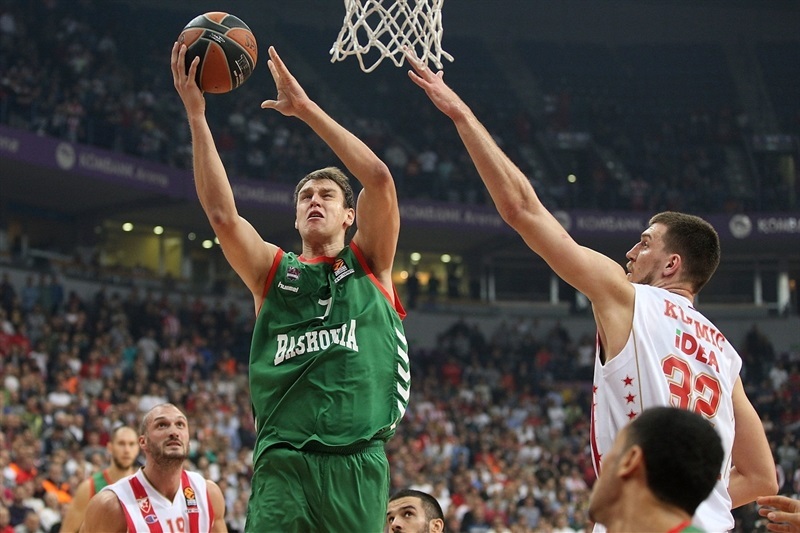 Baskonia grabbed control in the opening minutes, and never relinquished the lead or control of the game. 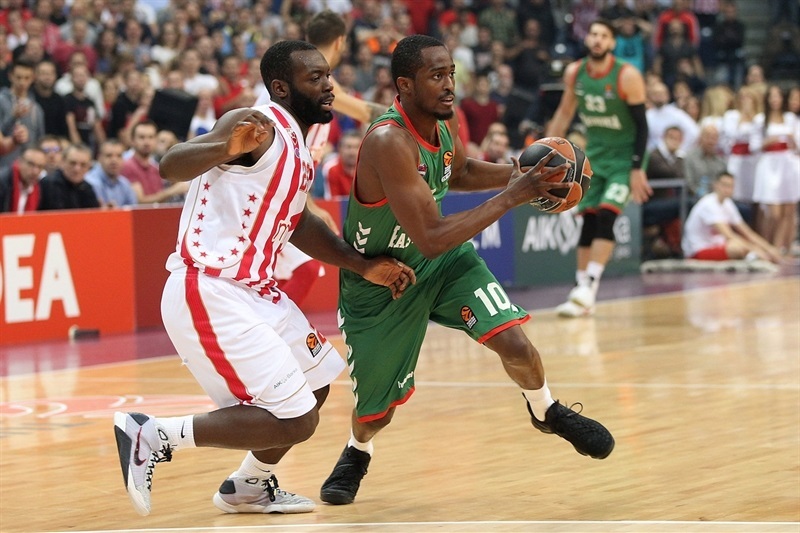 The visitors led by as many as 14 points, and never allowed Zvezda to come closer than 5. 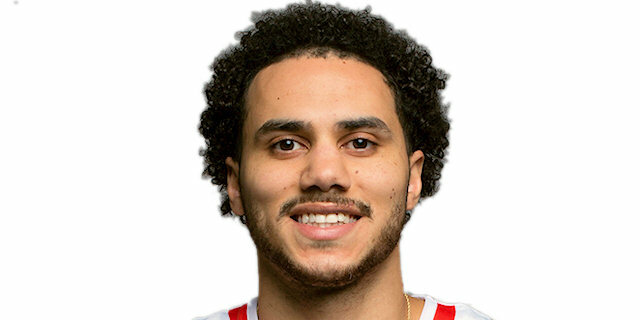 Shane Larkin led in victory with 16 points, and also had 6 assists and 4 steals. 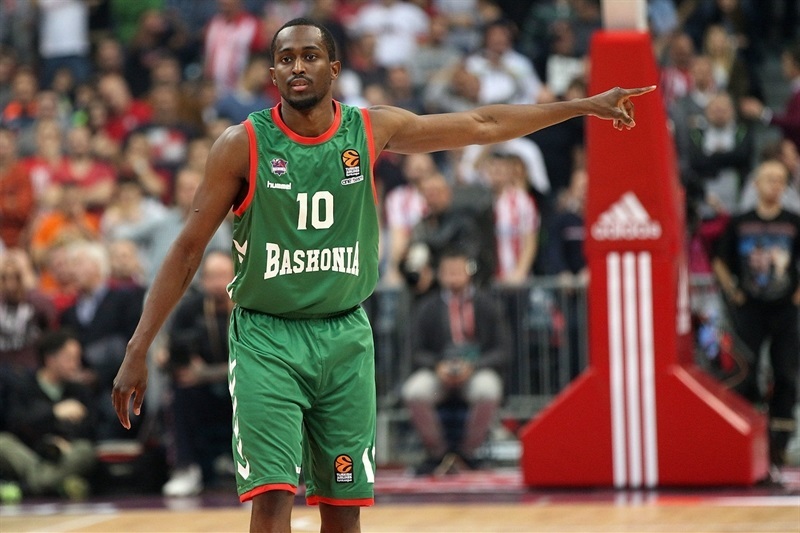 Rodrigue Beaubois also netted 16 points, while Johannes Voigtmann collected 11 points and 8 rebounds in victory. 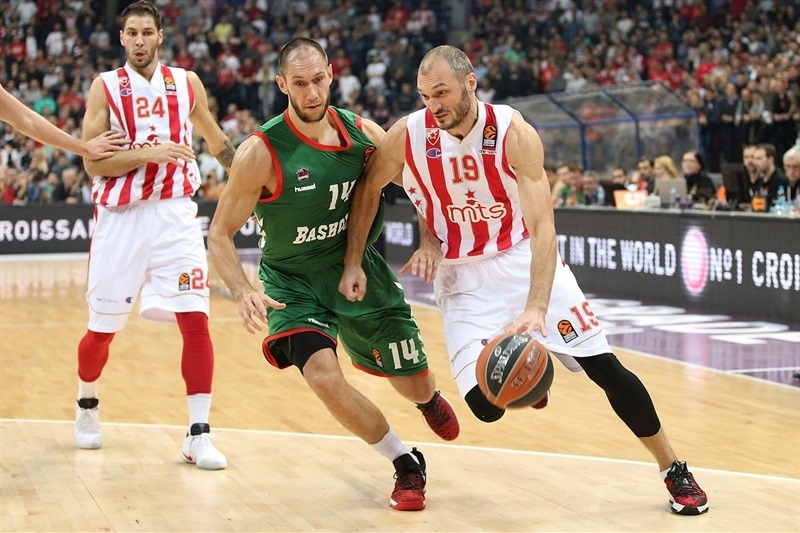 Marko Guduric netted 12 points, and Marko Simonovic had 11 in defeat. The visitors grabbed control early on, not allowing Zvezda to get into offensive rhythm, while offensively Kim Tillie, Beaubois and Jaka Blazic all hit three-pointers to give Baskonia a 15-22 lead after 10 minutes. Zvezda scored on a fast break by Branko Lazic, and Stefan Jovic made a runner, but Voigtman hit another three for the visitors as Baskonia grabbed its first double-digit lead of the night, 19-29, midway through the second quarter. Zvezda made a couple defensive stops that helped it halve the deficit, but Baskonia answered with a 0-8 run, during which Larkin hit a corner three, helping the visitors pull away to a 13-point margin, before Zvezda got within 28-37 at halftime. Vogitmann increased it to 35-49 with a three-point in the third stanza, but Guduric hit from long range, and Simonovic and Jenkins hit back-to-back threes for the hosts. But Baskonia answered with a 0-6 run that made it 48-59 after three quarters. Milko Bjelica and Guduric kept the hosts in it in the fourth, and Simonovic’s three-point play cut it to 61-66 with 6:18 to go. However, the visitors did not allow another field goal for the rest of the game, and closed it out for an important road win. 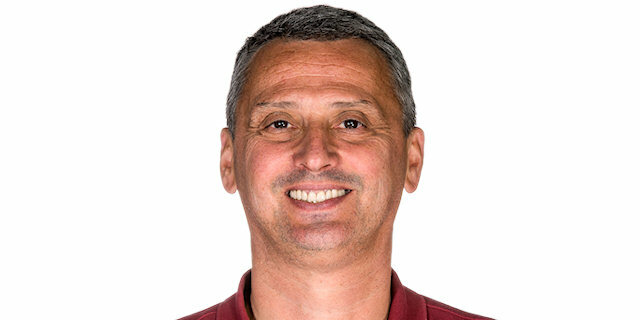 "Baskonia is a very quality team. 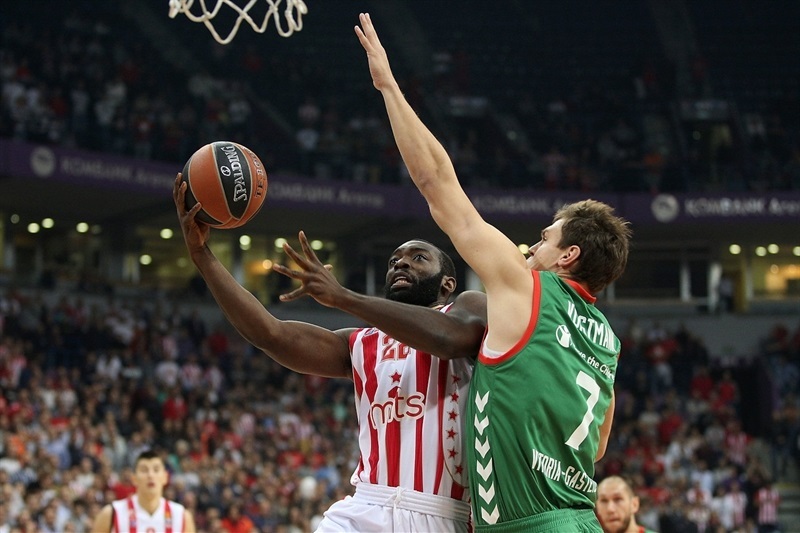 Baskonia used our bad start to the game, and built an advantage. We gave away too many opportunities for easy points, which is difficult to make up at this level. It was evident we were not finding solutions on offense. We had more energy in the second half, our defense was fine, and we had few good moments on offense. We were coming back and had a chance to get the game into a dramatic ending, but we did not manage to do that. We manage to hold their offense to 70 points, and they are great offensive team, but we all together had 21 turnovers, and did not produce enough on offense. We did not get any easy points to increase our confidence. It was a fight; they were a better team tonight. 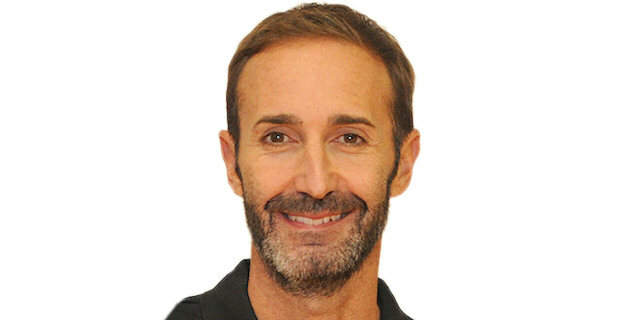 I want to thank our fans for their support again." "It was a very important game for us. To beat Crvena Zvezda here in Belgrade is always very difficult. We played very well first 20 minutes. We opened the game well, read the game well. We tried to run when we thought we could score in first seconds of our possession, and we put the ball in the hands when we could not run. After halftime, Zvezda defended very hard, especially in the front line. We had problems, but the most important thing for us in those difficult moments on offense was our defense. Especially in the last six or seven minutes, we defended very well in those moments." "It is a big win for us. We let one go at home against Olympiacos last time, so it was good for us to come in here, play together, play hard and get good a win. It’s very difficult to play here. Zvezda has great fans, they are loud the entire game, they give their team a lot of energy. But we stuck together as a team, and we pulled it out. My teammates did a great job of getting me open shots and setting good screens. I had a little too many turnovers, but we will cut that down next game and keep improving. Our next opponent is Fenerbahce. They are a great team. They have been a great team for a while. They have great players, great coach, so we got to go in there play hard, play together, and we will have a good chance to win that game."